ScrubCLEAN® is a specially designed abrasive sponge for cleaning hardened residues off scratch sensitive tools and components such as CMP polishers, shower heads, heater surfaces, metal/polyester mesh masks, sealing surfaces, plastic and glass surfaces. 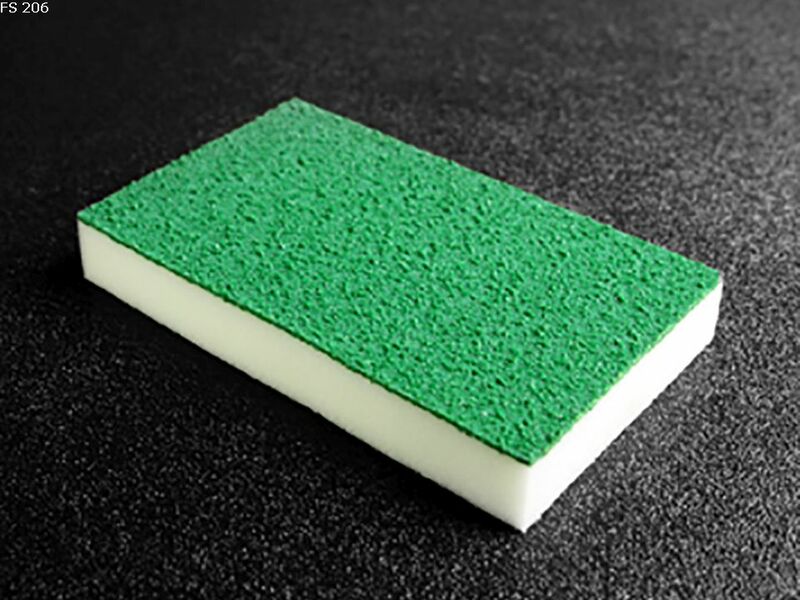 Unlike current scrubbers which rely on coated fibers or coated abrasives, ScrubCLEAN® abrasive sponges are constructed from plastic particles that are adhered to the sponge with a polyurethane polymer, making them ideal for applications where it is critical to reduce particles and fibers generated by the abrasive surfaces. Proprietary coating allows for scrubbing while minimizing particle generation from the abrasive surface making it the optimum choice for cleaning shower heads, GDPs, pump ports, gate valves and bio-reactors. Extremely low in endotoxins and autoclavable for the sterilized scrubbing of bio-reactors, mixing tanks and other bio-pharmaceutical applications. Plastic based scrubbing surface is ideal for cleaning scratch sensitive surfaces such as glass, plastic, and anodized aluminum surfaces. Allows for the fast, safe cleaning of scratch-sensitive surfaces such as CMP polishers, metal mesh screens and three roll mills. Extremely low in metals, salts and sodium.